Jonny White's acclaimed Art Department alias continues to serve up essential house music with a new package featuring a standout original as well as remixes from Damian Lazarus, Clive Henry and Nitin & Down 2 feat. Lorenzo Dada. Art Department continued to light up the worlds best clubs and festivals throughout 2018 and into 2019. He also served up vinyl chart topping EPs on No.19 and Kerri Chandlers Kaoz Theory that showed his style is constantly evolving, always connecting the dots between the past, present and future, finding fresh new ground in the house sphere. This new track comes as a fantastic live version with a typically on- point selection of remixes. 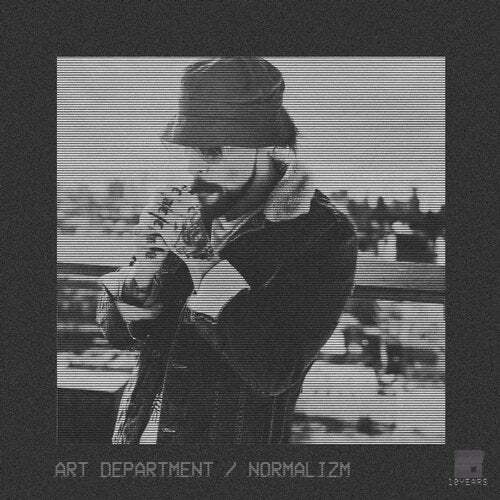 The lead single, Normalizm, is a brilliantly elastic piece of house music, with infectious and busy drums setting a playful mood. Fat synths warp around the beats and the whole thing has a restlessness to it that cannot fail to make you move. Scene mainstay and Crosstown Rebelss driving creative force Damian Lazarus steps up with a remix that fantastically reworks the track into eight darkly involving minutes of synth laden intensity. The drums twist and turn, and the pads bring real late night emotion to the groove. Circoloco resident and producer of some of house music's chunkiest sounds Clive Henry then steps up. His well-constructed remix flips the track into something deep, liquid and stripped back. Its a fluid groove for intimate after parties that really gets under your skin. Last of all, label co-owner Nitin joins forces with the enigmatic Down 2 for a remix that features keys from classically trained pianist, and respected producer in his own right, Lorenzo Dada. Recorded at Zees infamous studio facility in Toronto, this perfect final piece of the puzzle is beautifully spaced out and delicate. The keys are tender and emotive and the rolling drums get you lost in a cinematic and widescreen reverie. This is a wonderfully varied package that covers plenty of musical ground, and marks another high point from the always on point Art Department and No.19 Music.